Set in the 1960s, this period drama uses the old school 1.33: aspect ratio along with the blunt black and white, in order to set the nostalgic mood and real throwback feel it seeks. The feature is consistent in its artful compositions and esteem for detail – and certainly what matters most here is especially how visually striking it is, to a point where you could turn down the sound and enjoy the picture as part of a gallery. Ida, a novitiate nun who is a week away from taking her vows, is dispatched by her Mother Superior on a journey, which has self-discovery results. She meets an aunt of hers for the first time, who reveals a family secret regarding World War II and pushes Ida to take on a quest. “Ida” is contemplative, almost joyless and, although not completely original in its core, it’s visually as satisfactory as it gets for a modern black and white film. Another great attempt at reliving the glories of the past is Baumbach’s effort in black and white. This time, it strongly invokes the French New Wave, its comedy, melodrama and utter spontaneity. Greta Gerwig, a usual choice for the director, plays 27-year-old dancer Frances who is lacking direction and struggling to understand life. Easily compared to Woody Allen’s “Manhattan” (1979), it uses monochrome to perfectly capture modern-day New York and serves as a loving take on the called Millennial generation, bringing empathy to it without being pretentious. 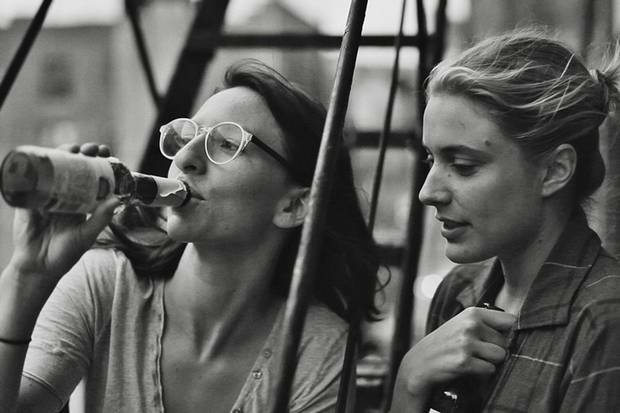 Naturally lit and digitally shot by inexpensive DSLR cameras such as the Canon 5D, “Frances Ha” was later manipulated into black and white in a complicated experienced that involved color timing in post-production. The aesthetic that late cinematographer Harris Savides helped establish turned it into a sweet rendition to the most basic struggles of human condition, and the finest work Baumbach has done since “The Squid and the Whale” (2005). This American neo-noir crime thriller anthology based on Miller’s graphic novel of the same name is one of the few fully digital, live-action motion pictures. Being a part of this particular list means that the whole film was iniatially shot in color and later converted back to high-quality black and white. Colorization was added to each scene in post-production and, as usual in film noir, it was treated for hightened contrast between the blacks and whites. It features blackened silhouettes and the occasional appearance of bright red to alleviate any possibilities of visual bleakness. Besides being extremely faithful to its source material due to Miller’s own contributions, Rodriguez made the adaptation job seem effortless by making every line and frame stunning with major authenticity points, without ever lacking coherence. Berger, along with a handful of European directors in the latest years, was drawn to the glamour of monochrome, old-fashioned frames and silent conversations. Set in Spain in the 1920s, everything is visually representative of that time, involving us in a mix of past and fantasy. Inspired by the Brothers Grimm original spooky story from Northern Europe, this adaptation is far more romantic, passionate and tragic, all the possible adjectives associated to the Iberian Peninsula. Snow White isn’t a princess, but the daughter of a bullfighter and a flamenco dancer, and her stepmother is a cruel gold digger. The dwarves – six – are bullfighters, too, and help her discover her own talent. The viewer can’t help reflect not only on Spanish history, but cinema’s, fairytales and the history of storytelling. Expressive performances repel any need for verbal action, and the images aided by cinematographer Kiko de la Rica are both lucid and imaginative, from odd to heartbreaking, conducted by a wonderful score that covers all kinds of sentiments. 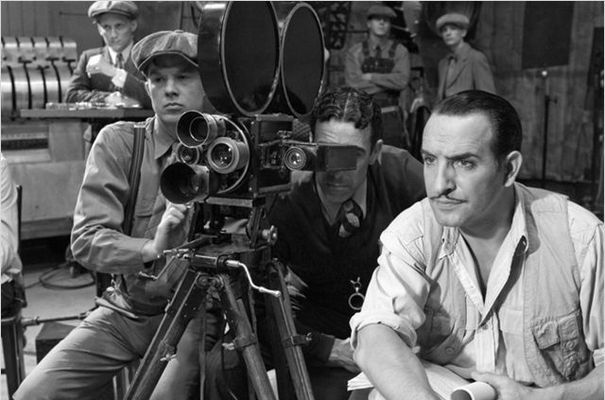 Perhaps the most mentioned black and white film of the past 5 years for being the Best Picture winner at the Academy Awards in 2012, “The Artist” is often referred to as a love letter to silent cinema. The story follows an established film star (Jean Dujardin) and a young actress (Berenice Bejo) in the late 1920s and early 1930s in Hollywood, during the rise to talkies. When the pictures start to speak, Dujardin’s character is brushed aside by the industry, while Bejo’s rises to fame due to her voice – though we never hear why. More than a major reference to “Singin’ in the Rain”, which anyone who’s seen both can find the similarities, it is a wonderful exploration of essence and the memory of celluloid. Unlike the implied message in the other films on this list, this boxy-framed, monochromatic, silent, caricatured film is as clear as it gets: some things from the past are worth preserving, and you don’t always need words to enjoy moving pictures. 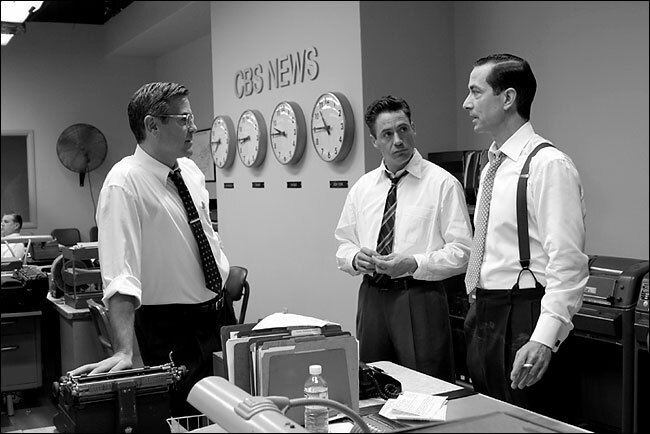 Clooney’s sophomore directorial achievement uses the color-free aesthetics of 1950s TV news to highlight its smoky atmosphere. Originally shot in a color film stock and color-corrected in post production, it tells the true story of newsman Edward R.Murrow and his clashes with Senator Joseph McCarthy as well as the Un-American Activities Committee. It’s a view on the anti-comunist crusade, but it features the importance public debate and discourse, creating present-day easy-to-spot parallels. Media responsibility takes the spotlight in what might just be the director’s best work to date. 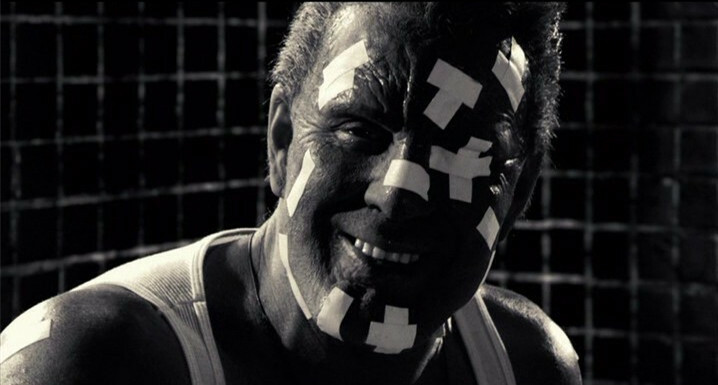 Its use of monochrome is essential to capture the period sense, but it was inevitable due to the chosen annexation of actual footage of McCarthy in its arrogant glory. Author Bio: Alex Gandra is a Portuguese writer and filmmaker.She graduated this year in New Communication Technologies from the University of Aveiro and is currently in a master’s degree in Digital Audiovisual. She spends too much time in cafés writing scripts and other kinds of texts you can find at medium.com/@gandra_le. She’s also writing a book she hopes to finish some day.